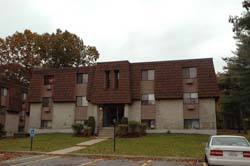 Fineberg Management operates Jamestown Apartments in Warwick, RI, with 156 one- and two-bedroom units. It’s a garden-style apartment community of five brick-and-clapboard buildings erected in the early 1970s. The common areas have been updated over the last several years. The landscaping has been well maintained making for an outstandingly attractive site. Shopping areas are easily accessible by car. The property is five minutes from the T.F. Green State Airport, 15 minutes from downtown Providence and just five minutes from a beautiful public beach. 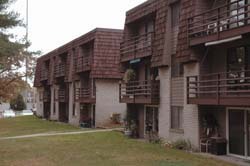 Jamestown Apartments has on-premise parking, air-conditioned and carpeted units, with modern kitchens and bathrooms and patios accessible via sliding glass doors. The development also has a maintenance crew and a property manager/rental office on site.